Through their implementation of online voting, the Commerce and Administration Students’ Association has succeeded in increasing engagement rates for their most recent elections in February. This year, candidates approached more students in attempts to increase voter turnout—an issue that plagues most student associations at Concordia. “It’s always a problem every year reaching out to the vast majority of JMSB students and encouraging everyone to vote,” said CASA Vice President and Chief Electoral Officer Maxime Gaudreau. These efforts, combined with CASA’s online voting campaign, have seen an increase from 726 votes last year to 909 votes this year. Founders of CASA’s online voting initiative, Shaumia Suntharalingam and Rory Blaisdell, said they put significant effort into promoting online voting on social media. “With online voting, it’s all automatic, so it makes it a lot easier for people, and I think that simplicity and ease of use was really communicated through their Facebook campaign,” Blaisdell said. The online voting system was in its testing stages last year, made available to some students with others still using physical ballots. “We decided to offer online voting last year, but only for students on an exchange or on co-op work terms, but we still had physical ballots for people to vote,” Gaudreau said. Students could register their name and ID online to submit votes, but the platform didn’t handle the traffic well. This year, the voting process was done entirely online. 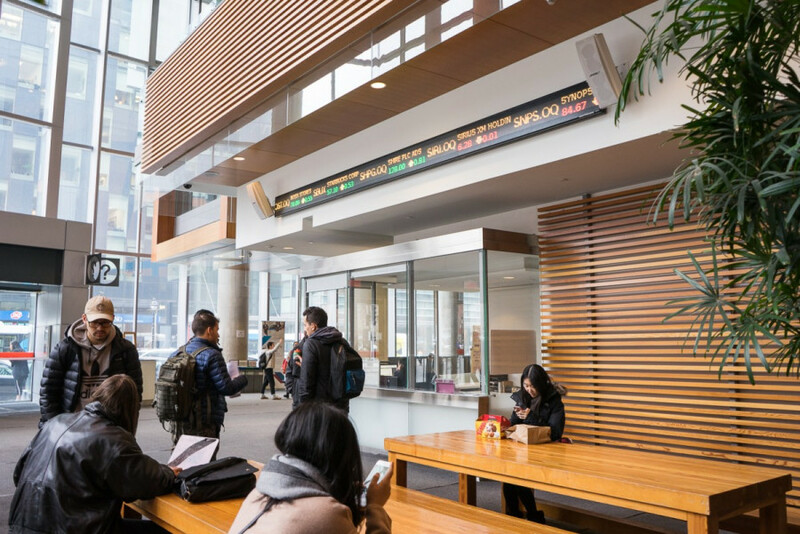 While there were physical booths set up in the JMSB lobby, the voting stations were fully-equipped with laptops borrowed from Concordia’s Instructional and Information Technology Services. Much of the controversy surrounding online voting has focused on security and technical risks. Other student associations, like the CSU, have previously described concerns over electoral fraud and misrecording votes, which can be difficult to trace. Gaudreau explained that the campaign only experienced one minor issue at the beginning of voting week this year. Otherwise, the campaign saw no technical difficulties, he added. The benefits to online voting don’t stop at voter turnout. Elections can be a significant expense for student associations who already struggle with budgeting, Blaisdell explained. Suntharalingam thinks that the positive outcome from this year’s online voting demonstrates a promising future for improving voter turnout in other student associations. “This is a really great opportunity for other associations to use us as a little guinea pig with regards to how it worked out and really benchmark off of how we implemented and executed the online voting,” Suntharalingam said. Gaudreau hopes CASA will continue to use online voting for future elections. A previous version of this article stated that there were 746 voters last year when there were 726. The Link regrets this error.